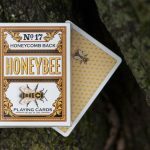 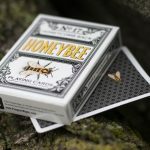 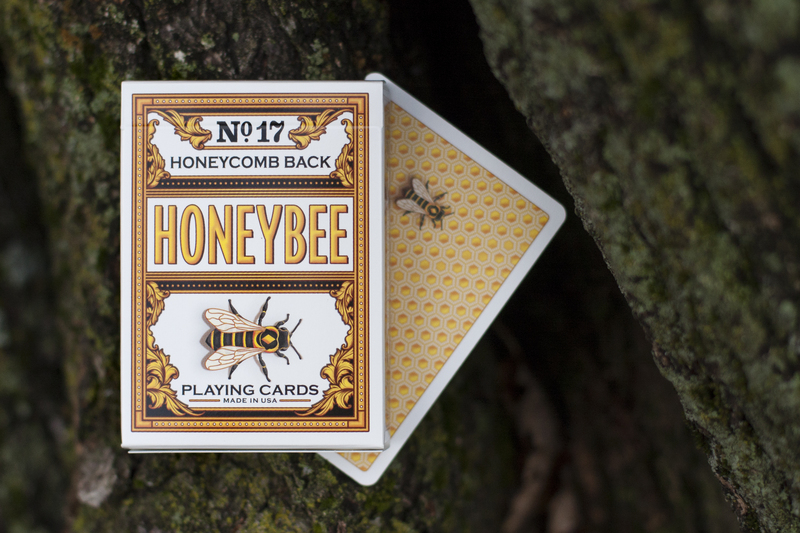 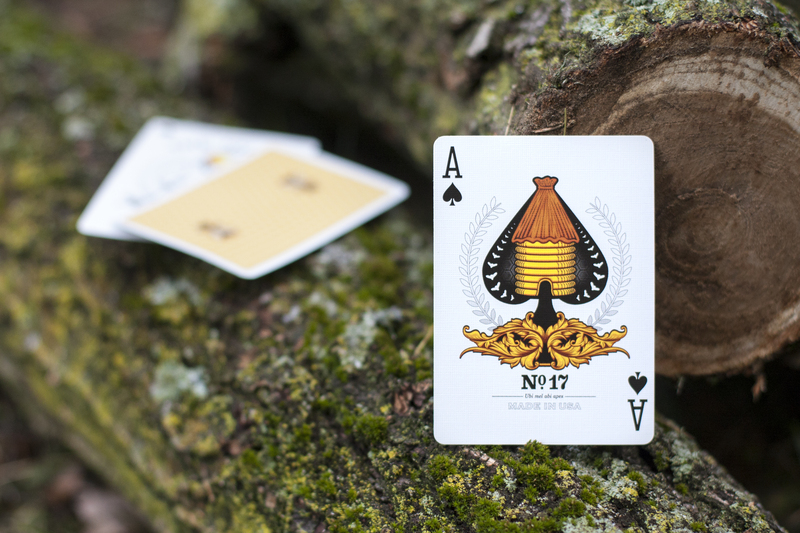 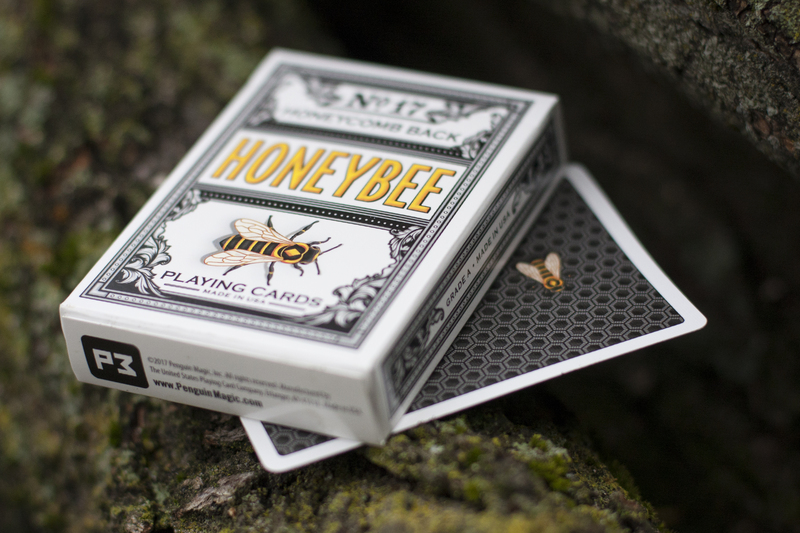 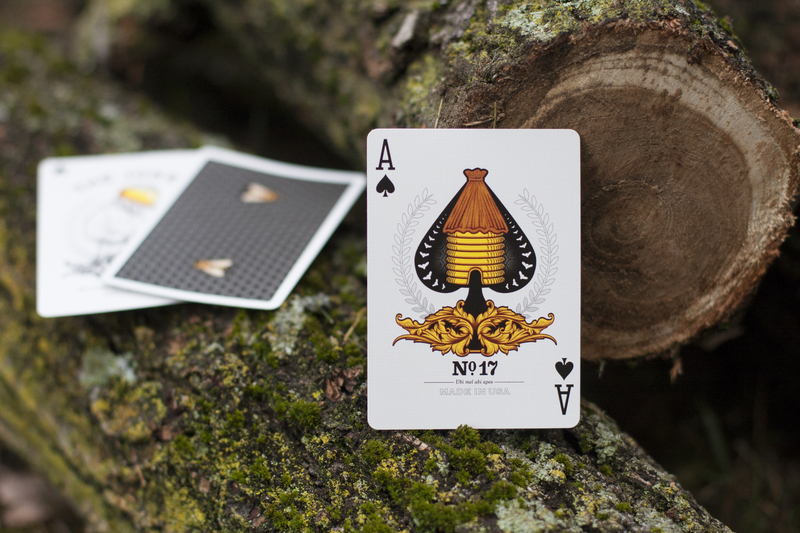 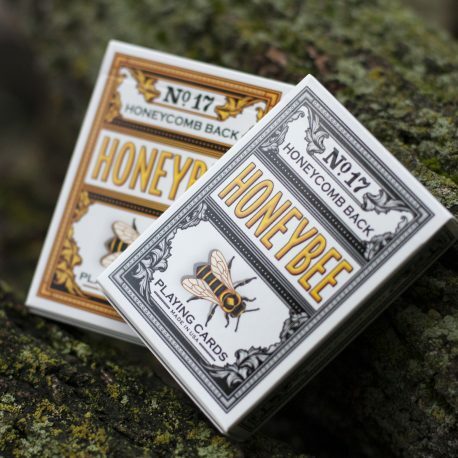 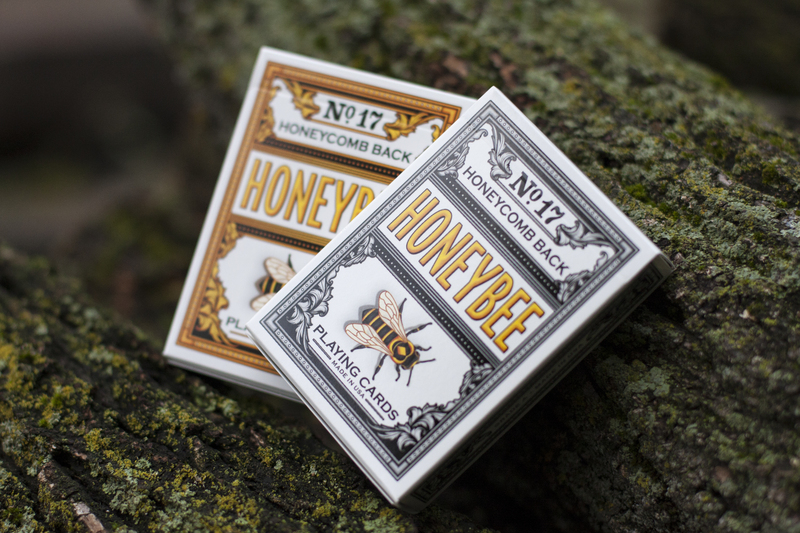 They’re back and sweeter than ever – Honeybee V2 playing cards from Penguin Magic. 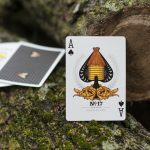 The faces are traditional Bee-style faces with our timeless Beehive Ace of Spades and Beekeeper Jokers, plus a deeper high-roller red on the Hearts and Diamonds. 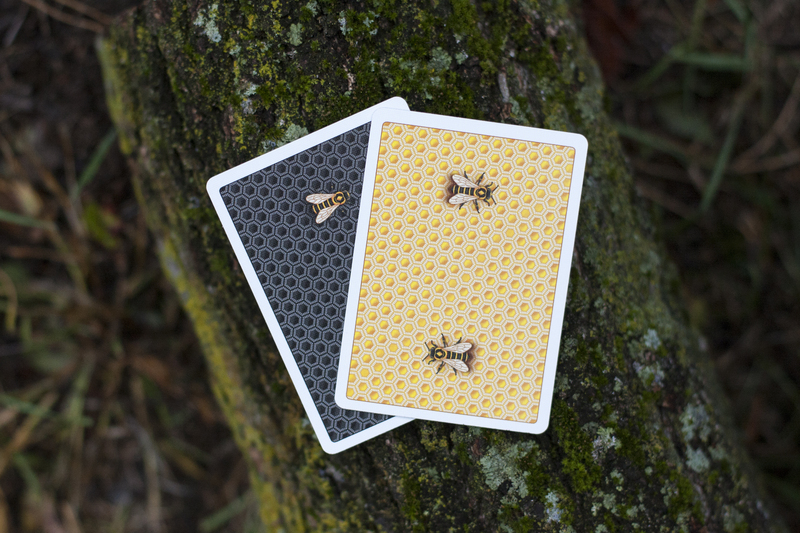 We’ve created a custom color scheme and background pattern on all of the court cards. 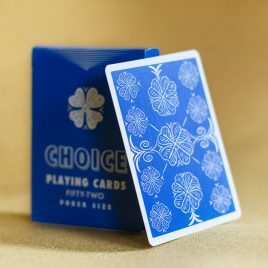 These cards handle like a DREAM. 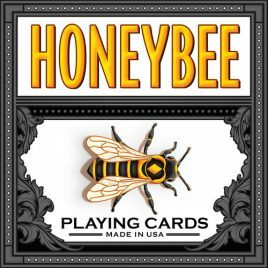 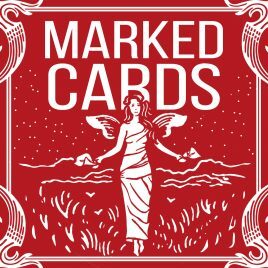 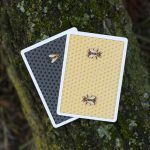 They are printed on US Playing Card’s embossed Bee stock with their Grade-A “Magic” finish for ultimate fanning, spreading, durability, and longevity. 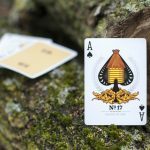 They have also been traditionally cut (the blade goes through the face side) which makes table faro shuffles and other gambling moves significantly easier to accomplish.